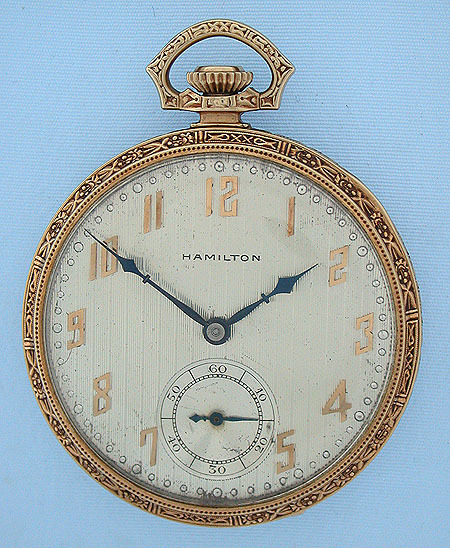 Fine slim 14K gold Hamilton 23 jewel dress antique pocket watch circa 1937. Textured silver dial with applied gold numerals and blued steel hands. 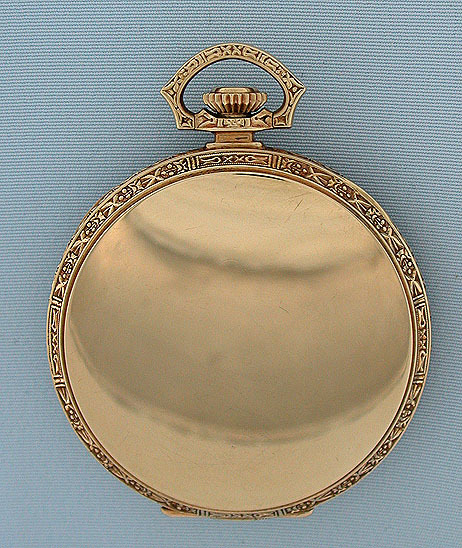 Plain polish case with fancy stamped bezels, pendant and bow. 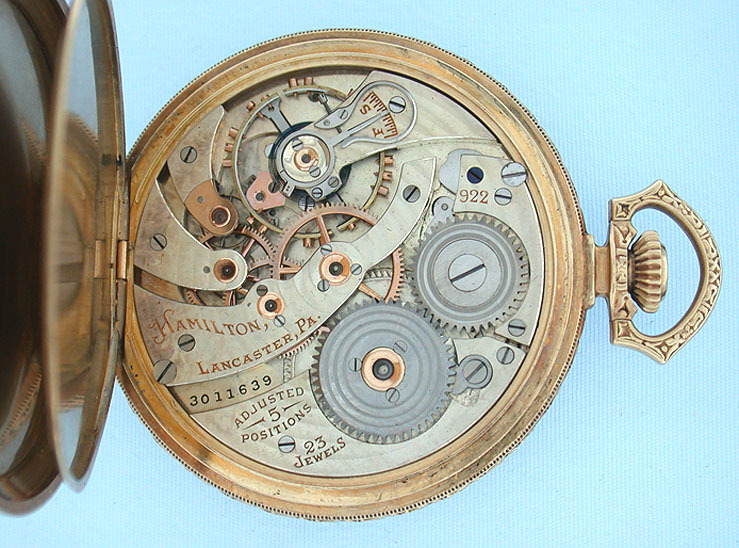 Fine 12/S adjusted 922 movement with screwed jewel settings and precision regulator. Particularly nice example.